"Oil boiler installations, servicing and repair"
Whether you are looking for a new oil boiler installation or maintenance of your existing oil-fired heating system, we can help. 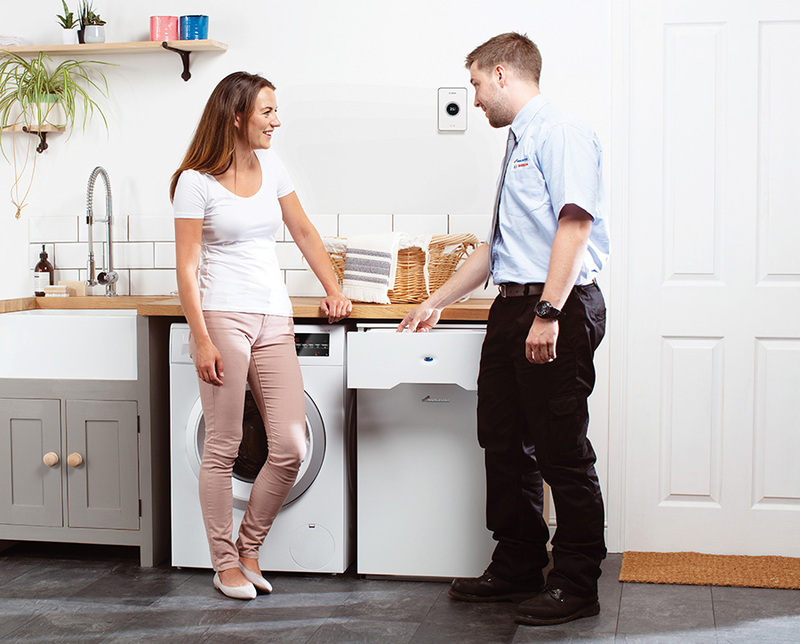 Our OFTEC registered engineers have been trained to the highest possible standards in the industry so you can rest assured that your oil boiler installation will be in safe hands. We can take care of the entire oil boiler installation including any building works required. This includes laying of the concrete base for the oil tank and installing the fuel line to your boiler. We install oil condensing boilers (standard and combi) which utilise the latest boiler technology for maximum efficiency and the lowest heating bills. Some of our customers have saved up to 30% on their heating bills by installing a new energy efficient oil condensing boiler. Even if we didn't install the system we will be pleased to help and on our first visit our engineers will check that your oil-fired boiler complies with the latest OFTEC regulations. We supply a variety of oil tanks to suit all spaces and requirements and which exceed the current oil storage regulations in the UK and Ireland. They are OFCERT certified and manufactured to ISO Standards. Our oil tanks come complete with oil monitoring and oil tank security features including an alarm and oil level sensor. This ensures that your oil tank is secure and you will be alerted before you run out of oil.